The University of Aberdeen has once again come out on top in a national competition that sees the best of Scotland's student legal talent pit their wits against each other. The film editor behind The Twilight Saga:New Moon and Woman in Gold will appear in the Granite City as part of the University of Aberdeen's popular Director's Cut series. A new round of scholarships worth up to £1.5 million has been launched by the University of Aberdeen. An Aberdeen Dental School student is all smiles after finishing runner-up in a prestigious national dental skills completion. Hundreds of students will fight for their university's pride this week as teams from Robert Gordon University (RGU) and the University of Aberdeen prepare to do battle in the annual Granite City Challenge. A team of scientists led by CSIRO researcher Dr Mario Herrero, and including Professor Pete Smith from the University of Aberdeen, have found that the global livestock sector offers a significant opportunity to mitigate greenhouse gas emissions while maintaining the economic and social benefits of the sector. The University of Aberdeen Rowett Institute of Nutrition and Health has received a huge funding boost from the Scottish Government. As staff from the Rowett Institute of Nutrition and Health prepare to move into their new headquarters at Foresterhill, founder and first director of the institute Lord Boyd Orr has been honoured by Royal Mail by being included in its British Humanitarians Special stamps. The University of Aberdeen has become the first Scottish university to partner with IBM to offer students and staff access to Watson Engagement Advisor, one of IBM's cognitive computing technology solutions. The University of Aberdeen will become a canvas for experimental art on Friday March 18. Repeat caesarean sections don't lead to substantially worse long-term health in children compared with vaginal births after caesarean section, according to new research. Tarland is set to witness the first demonstration in Scotland of a theatre-size musical lightning generator. Lower levels of intelligence measured in childhood are associated with an increased risk of premature death in adulthood. Professor Alex Kemp has been honoured for half a century of service to the University of Aberdeen. The University of Aberdeen has been named 85th best in Europe in a new list compiled by Times Higher Education World University Rankings. Hundreds of spectators are expected to line the River Dee this Saturday as Aberdeen's two universities go head to head in the annual Aberdeen Asset Management Universities' Boat Race. This weekend will see scientists inspire, motivate and enthuse audiences across the City and Shire as British Science Week kicks off for 2016. Partner support (not nagging!) could be key to stopping smoking. 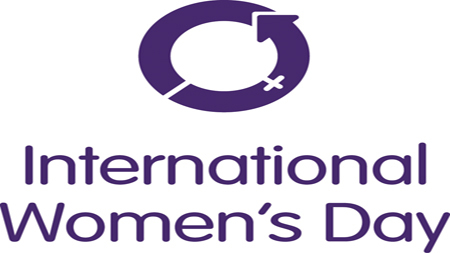 The University of Aberdeen will host an event today (Friday, March 4) which will celebrate the achievements of women and inspire the next generation. A new exhibition at the University of Aberdeen's Library's Gallery is now open telling the story of Dickens's visits to Aberdeen in 1858 and 1866 and showcasing the University's unique collection of his novels. Eating meat from animals grazed on land treated with commonly-used agricultural fertilisers might have serious implications for pregnant women and the future reproductive health of their unborn children, according to new research. Damage in specific brain structures has been found to be associated with a greater risk of depressive symptoms in late life according to research from the University of Aberdeen. The University of Aberdeen is to benefit from a share of a multi-million pound grant awarded to help fund research into genetic diseases.